Nexus owners will soon have Android Lollipop, nine days after Google announced the start of the Lollipop rollout. According to a tweet sent by the official Android account, Lollipop has started rolling out to Nexus devices, although it didn’t specify which. The rollout is likely to include the Nexus 4, the Nexus 5, and last year’s Nexus 7 tablet. You should get a push notification telling you your Nexus device is ready for an OTA update, but you can also manually check for an update on your Android phone in Settings > System Updates > Check Now. Google also uploaded the official Android Lollipop factory images to its site on Wednesday, which you can find here. You can manually install these on your device if you’re handy with the Fastboot tool and the command line. Many Nexus owners bought their phones and tablets with Google’s implicit promise that those devices would be the first to get new Android updates as they became available. This time around, that didn’t happen perfectly, perhaps due to a Nexus 5 Wi-Fi bug that ate battery life. Other manufacturers took advantage of the delay: Motorola started pushing out updates to some of its devices earlier this week, and LG put out a press release saying its G3 phone would be the “first phone” to get Lollipop. There’s a lot of excitement surrounding the Android 5.0 Lollipop update, and most of that is because it’s sporting Android’s biggest user interface revamp in years. The new look is called Material Design, and it brings more color and depth to Android and [company]Google[/company] apps. There’s also a few killer new features in Lollipop, like screen pinning, a new notifications tray, and a significantly improved lock screen. Material Design was first introduced back in June by Google’s VP of design, Matias Duarte, who will be expanding on its design concepts at our Gigaom Roadmap event next week. I’ve been using Android Lollipop in various beta versions on a Nexus 5 since earlier this summer, and I believe it’s a significant improvement in terms of usability and athestics over previous versions of Android — once you’ve used it, you won’t want to go back. The animations, in particular, make the entire OS feel more alive. 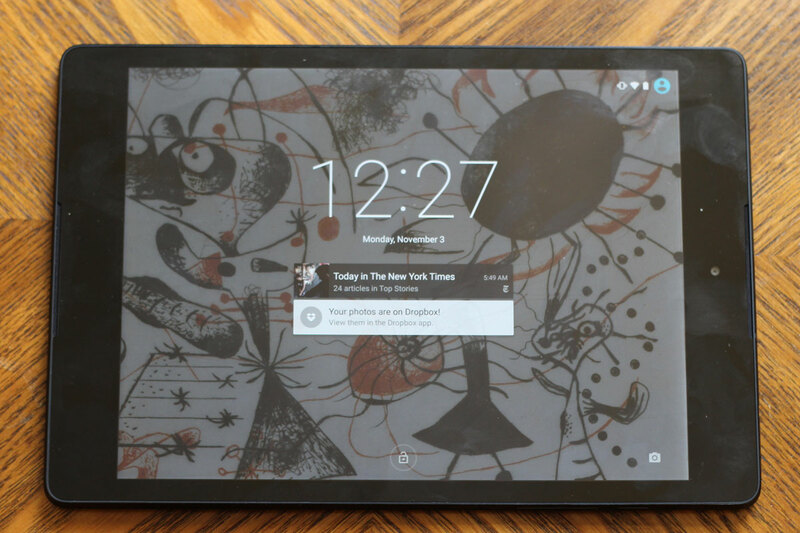 Android Lollipop is also excellent when preinstalled on tablets, like the new Nexus 9 made by HTC: Material Design uses blank space efficiently and is made for big screens. If you’ve got a device that’s not a certain bet to get an update to Android Lollipop (like those not on this list) you might want to buy a new device with the OS preinstalled, like the Nexus 6. My colleague Kevin Tofel reviewed the Motorola-made Nexus 6, and he ended up liking the software on the Nexus 6 more than its top-of-the-line hardware. 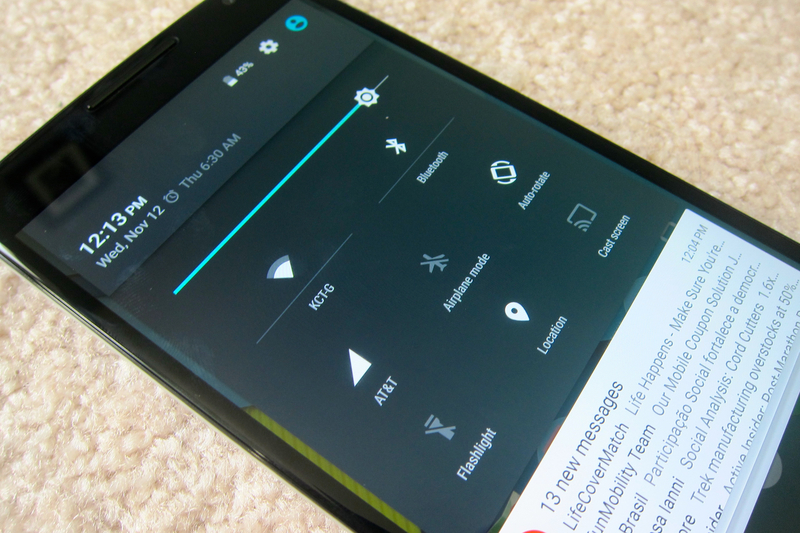 Android Lollipop isn’t perfectly stable yet, which might be due to its new “ART” runtime. I’ve found the Google Play Music app crashes from time to time, and Tofel had problems running some of his favorite games, like the World Series of Poker app. In the long run, the difference between your phone getting new software on November 12th as opposed to November 3rd isn’t that huge, and if Google was able to squash last minute bugs in its biggest Android update in years, it was probably worth it. I thought that Android 5.0 Lollipop will appear on Google Nexus 6 first – http://softchamp.com/news/google-nexus-6/, or I am wrong? If I am on 4.4.3. Will I get it or do I have to update to 4.4.4 and then it will show up? Note that no matter how many times you check for the update, you’ll only have one chance per day to be granted it, at least at first. If you don’t get it first thing in the morning, better luck tomorrow.